The Ministry of Health (MOH) is the major government agency entrusted with the provision of preventive, curative and rehabilitative health care for the Kingdom’s population. The Ministry provides primary health care (PHC) services through a network of health care centers (comprising 1,925 centers) throughout the kingdom. It also adopts the referral system which provides curative care for all members of society from the level of general practitioners at health centers to advanced technology specialist curative services through a broad base of general and specialist hospitals (220 hospitals). The MOH is considered the lead Government agency responsible for the management, planning, financing and regulating of the health care sector. The MOH also undertakes the overall supervision and follow-up of health care related activities carried out by the private sector. Therefore, the MOH can be viewed as a national health service (NHS) for the entire population. There are also three other mini-NHS which finance and deliver primary, secondary and tertiary care to specific enrolled security and armed forces populations: the Ministry of Defense and Aviation (MODA), the Ministry of Interior (MOI) and the Saudi Arabian National Guard (SANG). In addition to these agencies, there are several autonomous government agencies which are responsible for the delivery and financing of health care services in the KSA. The Ministry of Education provides immediate primary health care to students. The Ministry of Labor and Social Affairs operates institutions for the mentally retarded and custodial homes for orphans. These facilities provide their guests a certain amount of medical care. The General Organization for Social Insurance and General Presidency of Youth Welfare provide health services for certain categories of the population in connection with its management of sport facilities. The Royal Commission for Jubail and Yanbu provides health facilities for employees and residents at the two industrial cities (Jubail and Yanbu). The Saudi Arabian Airlines operates its own health care facilities with the aim of providing health care services to its employees. The Kingdom’s universities provide, through their medical colleges or hospitals, specialist curative services and medical education and training programs, while they also conduct health research in collaboration with other research centers. The Government also finances and provides care on a referral basis in its major specialized national tertiary care referral hospitals King Faisal Specialist Hospital and Research Center and King Khalid Eye Specialist Hospital. The King Faisal Specialist Hospital and Research Center uses highly advanced technologies and act as a reference hospital for cases that require advanced and specialist treatment, while it also conducts research on health issues in general and those related to the Kingdom in particular. The King Khalid Eye Specialist Hospital is designed to be a large health facility offering high quality specialized services for ophthalmology and eye surgery and medicine as well as being a regional research center in the area of ophthalmology. The hospital also has a cornea bank in which imported corneas are stored. The Saudi Red Crescent Society undertakes an important and effective role in providing emergency services at the pre-hospital stage, either at the scene of accidents or during the transportation of patients to hospitals. The society also undertakes a unique task by providing such services for pilgrims during Hajj and Umrah at the Holy Places of Mecca and Medina. 87 hospitals with 8,485 beds, accounting for about 19 percent of the total number of hospitals beds in the kingdom. 622 dispensaries, 785 clinics, 45 medical laboratories and 11 physiotherapy centers. 273 pharmaceutical stores and 3,209 pharmacies. Increased investments in manufacturing of drugs and medical supplies of medical appliances, and pharmaceuticals, in addition to the operation of some governmental hospitals and maintenance and cleaning in all health facilities. Increased contribution of the private sector in the provision of health care services, where out-patient visits to its facilities increased from 12.1 percent of total out-patient visits in 1994 to 16.1 percent in 1998. In addition, in-patients in the Kingdom’s private hospitals as a percentage of total in-patients rose from 16.6 percent in 1994 to 27.1 percent in 1998. Saudis and public sector expats are eligible for a comprehensive package of benefits including, public health, preventive, diagnostic, and curative services and pharmaceuticals with few exclusions and no cost sharing. Most services including state of the art cardio-vascular procedures, organ transplants, and cancer treatments (including bone marrow transplants) are covered. Sponsors/employers are responsible for paying for an extensive package of services for private sector expatriates. The health sector during the past two decades, like all other sectors shared a great deal of support and attention to improve their level worker's performance in its facilities on the basis of quality assurance. In 1983, before the application of primary health care, health services were in the form of "e-medical" services in hospitals and clinics. Prevention programs also involved through limited health care centers offices and Maternal and Child Health (MCH) centers. Government prioritization of preventive healthcare and environmental health began in 1925 following the establishment a public health department. 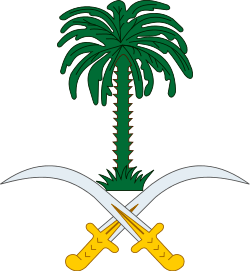 The decision to create it came after a royal decree from King Abdul Aziz Al-Saud. By 1926, the first school of nursing was opened, followed by the school of health and emergencies in 1927. Health services expanded in 1951 with the establishment of the Ministry of Health. A ministerial ordinance in 1980 led to a conglomeration of the administration of the existing dispensaries, health centers, health offices and maternal and child health (MCH) centers into one unit. By the end of the 1980s, there were 253 hospitals, 38,955 hospital beds and 1,640 primary health centers. The proportion of positions filled by Saudi nationals was low, with Saudi nationals representing 13% doctors (22,633 doctors), 11.2% nurses (45,840 nurses) and 38% health technicians (25,192 health technicians). In 1993, the total number of hospitals was 281, 41,789 hospital beds and 1,707 primary health centers and the positions filled by Saudi nationals increased to 22.7% doctors, 24.5% nursing staff and 41.8% health technicians. 87 hospitals with 8,485 beds. 273 pharmaceutical stores and 3,208 pharmacies. In 2002, the Saudi health system was established by a Royal decree to insure the provision of comprehensive and integrate health care to all population in Saudi Arabia in a fair minded, organized and affordable manner. In 2004, there were 1,848 primary health care centers and the total number of hospitals was 200. The Ministry of Health (MOH) budget increased from 2.8% of the total National budget in 1970 to 6.4% in 2004. In 2006, there were 20.4 doctors and 35.4 nurses per 10.000 population. In 2008, health care centers were 1925 centers throughout the kingdom and 220 hospitals which adopted the referral system which provided curative care for all members of society from the level of general practitioners at health care centers to antecedent technology specialist curative services through a broad base of general and specialist hospitals. King Khaled Eye Specialist - It is one of the leading hospitals in the field of ophthalmology for the citizens of Saudi Arabia. King Faisal Specialist Hospital and Research Center - Founded in 1975, and specialized in incurable diseases, which can not be treated in other centers and the hospital has a section of x-rays contains all types of diagnostic radiology such as MRI, CT scan. Mental Health Hospital - Overseeing the cases outside the hospital and it consists of three parts, interior and outpatient clinics and ambulance 24 hours as there is in the hospital pharmacy and laboratory. King Fahad Medical City (KFMC) in Riyadh city is one of the newest medical cities in Saudi Arabia. In 2005, health insurance was made compulsory for all non-Saudi nationals working in the country under the Cooperative Health Insurance Act. In 2008, this act was extended to include Saudi nationals working for the private sector. Enforcements of this compulsory coverage include fines for non-compliant companies and a refusal to renew working permits without insurance.